Buying tickets or passes in advance can save you time or money when you’re visiting Venice. Passes are convenient because you can visit multiple sites without having to stand in ticket lines or carry cash for individual tickets. Three different museum passes cover entrances to Venice’s sites and museums with transportation also included on one of them. If you have limited time or are mainly interested in entering only the top sights around Saint Mark’s Square, the San Marco Pass is a good choice. It includes entrance to the Doge’s Palace, Correr Museum, Archaeological Museum, and Monumental Rooms of the Biblioteca Marciana. No ticket is required for Saint Mark’s Basilica, another of the square’s main attractions. The pass is valid for 7 days, covers 1 entrance to each of the above, and also includes admission to your 3 churches on the Chorus Circuit. Buy a San Marco Silver City Pass. For about 700 years Venice was ruled by the Doge from the Palazzo Ducale, his residence and the government seat. The palace’s rooms, including the Doge’s apartments and offices, are lavishly decorated. Art works by several top Venetian artists are on display and the courtyard and grand stairway are impressive. In the Correr Museum are displays related to Venice’s history including drawings, paintings, and antiquities, as well as a collection of marble sculptures by Antonio Canova. The National Archaeological Museum of Venice houses collections of Greek sculptures, ceramics, bronzes, and coins. Monumental Rooms of the Marciana Library, built in 1468 to house Greek and Latin codices, displays rare manuscripts and paintings by Venetian artists. Note: The Doge’s Palace Secret Itineraries Tour, that includes secret passageways, prisons, an interrogation room, and the Bridge of Sighs, is not included in this pass and must be booked separately in advance (and is highly recommended). 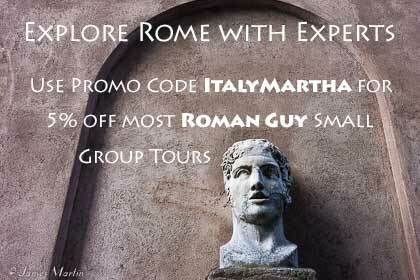 Use promo code ITALYMARTHA for a 5% discount on this tour. Included in the more comprehensive Venice Museums Pass are the above 4 museums and 7 more, so 11 museums total, for those who want a more in-depth look at Venice’s history and art. Buy a Venice Museums Pass. Ca’Rezzonico, a Baroque mansion on the Grand Canal, has a large collection of 18th century paintings and sculptures, including 4 rooms of works by Giambattista Tiepolo. Palazzo Mocenigo, in the Santa Croce sestiere, houses the Museum for Textiles and Costumes and itinerary dedicated to perfume as well as the mansion’s 18th century frescoes, furnishings and paintings. Palazzo Centani, the house where poet Carlo Goldoni was born, houses displays related to Venetian theater and a puppet theater. Ca’Pesaro International Gallery of Modern Art houses 19th and 20th century paintings and sculptures. Museum of Natural History, in the 13th century Palazzo Fontego dei Turchi on the Grand Canal, has an aquarium and exhibits about paleontology, fossils, whales, and nature. On Murano Island, famous for glass making, the Murano Glass Museum has a collection of glass, Venetian beads, and exhibits about the history of glass-making from the Romans through the 20th century. The Burano Lace Museum has displays of handmade lace produced on the island from the 16th through 20th centuries as well as other historical items from the periods. 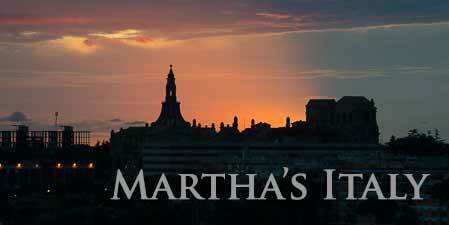 There’s an introductory film in English and often there are women demonstrating lace-making. This top of the line card covers all the above museums and all 17 churches on the Chorus Circuit. It also includes a 72 hour public transportation pass and a few other perks. The card is valid for 7 days. Buy a Venice Gold City Pass. Book a small group Venice highlights tour with gondola ride or a food tour with gondola ride and get 5% discount with promo code ITALYMARTHA. Compare prices of Hotels in Venice. Book Venice train tickets on Rail Europe.